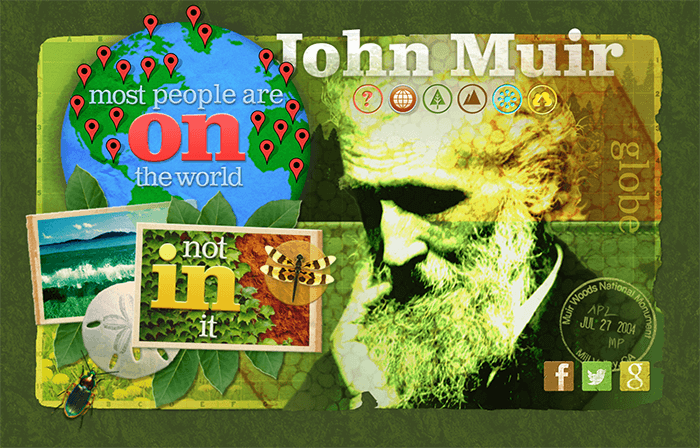 John Muir Interactive Collage is an Adobe Edge Animate demonstration project that presents quotations from the famous nature evangelist John Muir. 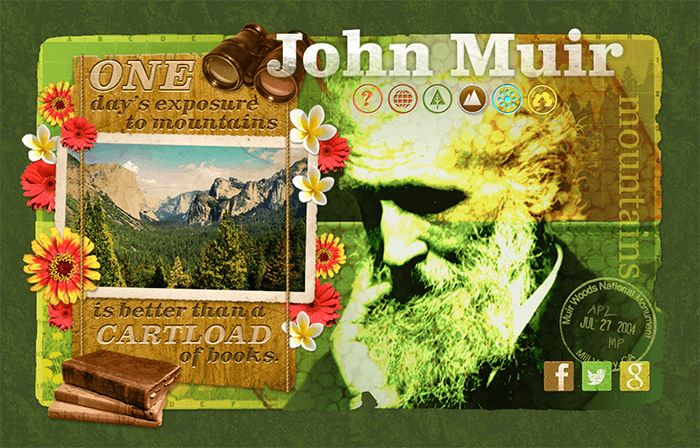 The interface is styled as a digital collage with a rustic feel reflective of John Muir’s life. 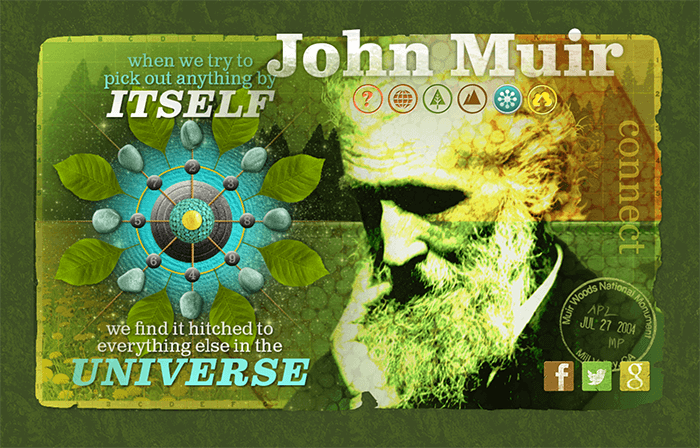 Each of the five quotes animates into it’s own version of the collage. Once displayed, the quote composition programmatically actives subtle, random movements to it’s visual elements, bringing it to life. 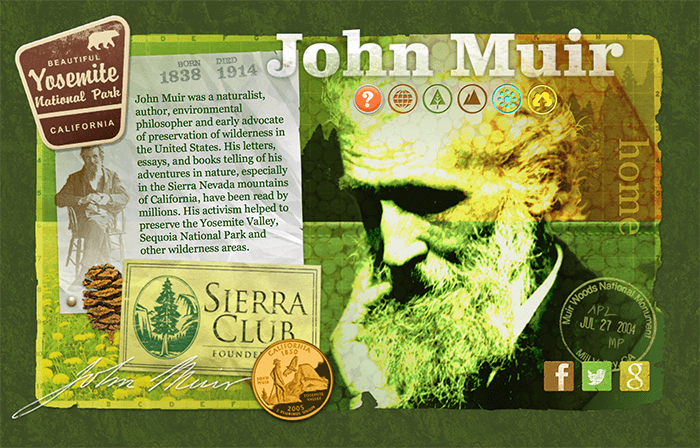 The graphics are created in SVG and PNG image format and have been optimized. 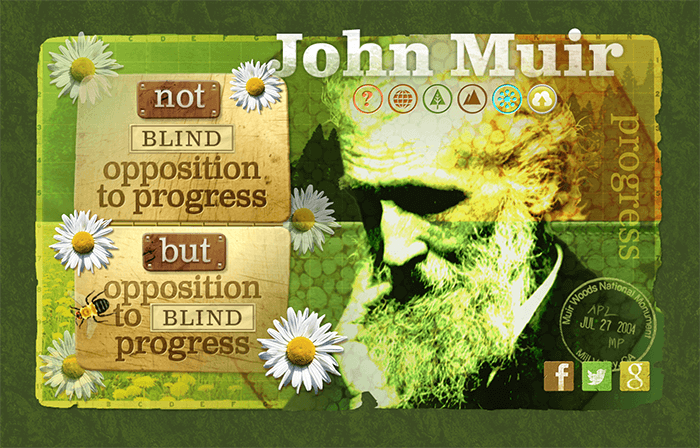 A menu is provided to navigate between quotes. Also, a social menu provides quick sharing and search capabilities. 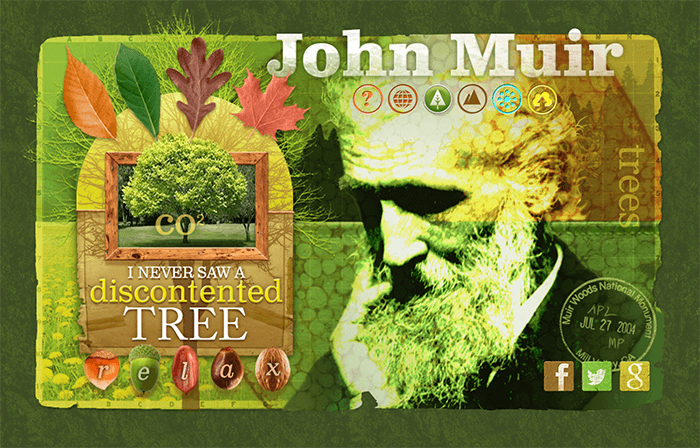 The component’s interactivity and motion graphics provide for an enjoyable informative experience.